Every owner tries to do everything they can to help ensure that their fur kid is as happy and healthy as possible. While not every health condition can be prevented by educating themselves about some of the most common health problems their dog might face they can be better prepared to deal with them should they occur. One such condition is an ear - or aural - hematoma. In very basic terms, an ear hematoma is a pocket of pooled blood that forms in the soft flesh of the ear flap, between the cartilage and the skin. It can occur in cats as well as dogs, but is more commonly seen in pups, especially those with larger ears. An ear hematoma is not always immediately visible and may not even cause too much pain or irritation at first but it should still be addressed as soon as possible. What Causes Ear Hematoma in Dogs? In most cases an ear hematoma is the result of some form of self-injury. They can occur when a pup scratches her ear too vigorously, or snags it with a sharp claw, or when they shake their head a little too hard. These actions can disrupt the natural blood flow in the ear and force some to begin to pool up within the gap that exists between the ear cartilage and the skin that covers it. These pockets of blood vary in size, and even in color, and in most cases, in addition to the hematoma itself the underlying cause that led to the self-harming behavior needs to be diagnosed and addressed as well, as there almost always is one, unless the pup's ear suffered a one of trauma. Common conditions that may result in an ear hematoma include ear infections, ear mites and various irritating skin conditions. Are Certain Breeds More Susceptible to Ear Hematoma Than Others? An aural hematoma can affect any dog - or cat - but those dogs with larger, more pendulous ears are often at a greater risk, not just for ear hematoma but for the underlying causes we just mentioned. For example, Boxers, some Terriers, and Irish Setters have been found to be more genetically predisposed to developing a skin condition known as allergic dermatitis. And breeds like Basset Hounds, Beagles, Spaniels and Bloodhounds, dogs known for their larger, floppier, ears tend to be more prone to ear canal infection as those big ears cover up the openings to the ears and often a build up of dirt, dust, ear wax and other irritants goes easily unnoticed. How Can I Tell If My Dog Has An Ear Hematoma? Visually an ear hematoma usually presents itself as a fluid filled bubble in or just on the ear flap. The swelling may be hard to the touch or it may be softer and feel more malleable. Sometimes the hematoma will actually cover the opening to the ear canal, and so will be particularly visible. The one thing that pet parents must do is avoid the temptation squeeze the bubble or too over aggressively clean the ears causing it to rupture. Instead you should head to your vet where she should be able to diagnose it quickly via a similar visual examination. 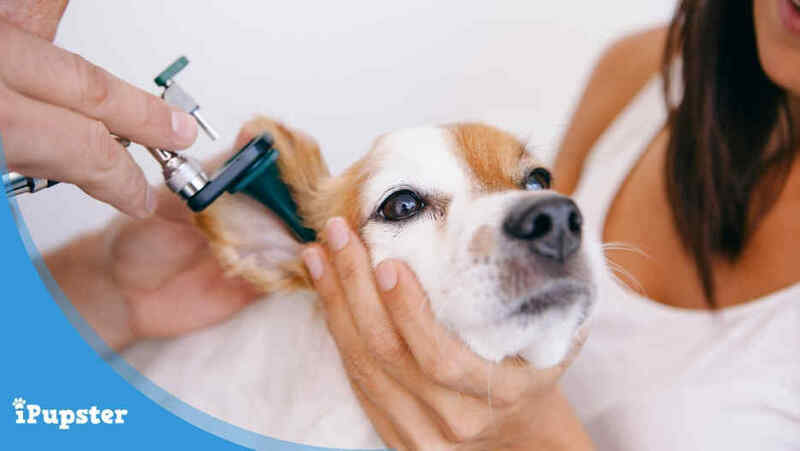 In addition to deciding the best way to treat the ear hematoma itself your vet will also be looking to diagnose and treat the underlying cause. This may involve both blood testing and allergy testing, as some skin conditions, and even simpler skin irritations, can be caused by outside allergens. How Is Aural Hematoma Treated? Because they are often painful and can affect your pup's ability to hear it's likely that your vet will choose to treat the aural hematoma itself first. This usually involves a small surgical procedure, under anesthesia, that drains the hematoma and removes blood and other debris. As this is achieved via a small incision sutures are then placed to close the wound and try to ensure safe, scar free healing. This achieved, the pup will need a few days to heal and the surgical wound will need to be protected, with the use of an Elizabethan collar - aka a cone - often being recommended to prevent pups from further irritating the wound as it heals. Most of the time this occurs within a matter of about a week. It is then essential that the underlying cause is treated. If the ear was infected in any way then the use of antibiotics is often called for and 'flushing' the ear canal can help prevent infection from returning. If allergy testing indicates that that is an issue this will need to be addressed too. Most pups recover well from ear hematoma treatment. And while you may not be able to completely prevent the condition from returning there is quite a lot you can do to minimize the risk. Get into the habit of checking your pup's ears regularly - especially if yours is a floppy eared pup - and ensuring they are as clean as possible. Cleaning a dog's ears is not always easy - like most human kids no dog really wants their ears cleaned - but with patience and the right tools it is something that can be done at home. As is the case for humans, using cotton swabs is not a good idea, cottons balls are a safer, and still very effective choice. These can be soaked in an ear wash - look for one with as few artificial ingredients as possible - and then the ear can be gently swabbed. If allergens were discovered to be an irritating factor then you will need to make changes to address that too. And if a skin condition like allergic dermatitis is present that will often be best treated by a canine dermatologist. Share Your Experience: Have a story about ear hematoma in dogs? Share it with us by leaving a comment below.